There are a lot of financing deals out there. Some terrible, some bad and some OK, even some that are very good. It is often highly dependent on your personal circumstances. The finance deals are diverse and at times complex. They may make sense for you to take advantage of, my feeling though is that you will end up paying more than you expected and they should be avoided. Perhaps only used for for income generating purchases – for example property and education. “We have a financing option to make it affordable” – Unfortunately, this statement does not even make sense to me. 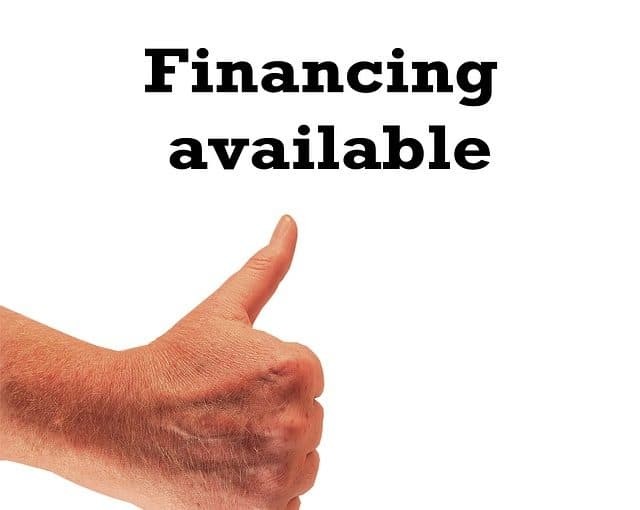 If it is affordable, you do not need a financing option. What it could imply is that, “We have a finance option to make us more money”…and future you can afford it. I am not sure future will be grateful to you though. I will go through a few specific examples that I have encountered, the examples are not meant to be instructive, because each person’s circumstance is unique, perhaps they can become informative when you make your choices. Mobile Phone on Contract – 24 months, more manageable, more expensive, no flexibility. September 2005 – That was the last year I got a mobile phone included in my contract. Since then the sums just haven’t worked* for me, it was cheaper to buy the phone upfront. By including a phone in your mobile contract effectively it means that you are financing it. The contract provider pays for the phone and then you pay the provider. When the provider does this, they then lock you into a long contract, often regardless of changes in your circumstances or theirs, such as a drop of service levels or the appropriateness of the contract. I no longer use 2,000 Txts, I do use 4gb of data – I wanted a contract that reflected this, so I changed to one, straight away. I started travelling a lot, so I change to another one, that gave me free mobile roaming. Car Finance and Compound Interest – Apples compared with oranges, so take the lemon finance. The sales agent then misunderstands or deliberately misuses the concept of compound interest to confuse them. They say, “No but your mortgage is over a 30 year period, so by the time you’ve paid off the car, you’ve paid enormous amount for it. OUR loan, though 12%, is only over a TEN year period.” They then do the sums show it to be much cheaper. They do the sums wrong**. Assuming you pay off the same amount each month, you will pay off the loan quicker at a lower interest rate and pay less. Paying less is better, paying less interest is better. My personal view is that if a sales agent tries this tactic, I’d struggle to trust them. I’d walk away. Laptop and Finance Deal – 3 ways to make a sale, nothing to do with the product. I recently had to buy a new laptop. When the floor salesman approached me, I asked which was most suitable given my criteria. The salesman couldn’t tell me which laptop was better for my needs, but he could tell me about 3 different financing options and their tax implications, I knew what his job was, his job was to sell me finance. I cut him off at 3. If I couldn’t find a laptop that I could afford, I’d walk away. I actually did end up going to another store instead where I found someone more knowledgeable. Understand Financing Better – What’s in it for them? There are basically 3 elements to price a finance deal. Risk, admin required and profit. Risk – It is naturally higher for riskier people and things that lose value quickly (like phones, cars and laptops), because the company providing the finance want to get their money back. The admin required, as they need people to complete the forms, time is money (yours and theirs). Profit, as they are in business to make money, they will try make more through financing. So the risk, admin and profit motive are bundled together and then used to calculate the interest rate. I assume its a bad deal – Or at least a better deal for them than for me. I ask if I can I really afford this – Can I delay. If I am are not prepared to save for it, do I really need/want it? – Chances are it will be better later, either cheaper or an improved product. What other options do I have. – I find at least two other financing options and compare them. This forces me to take the time to understand all of them. If I don’t understand the financing, I walk away. – An easy way to test this is to try explain it to someone else. Some finance deals are excellent. Most aren’t. Debt to finance something that loses value is often a bad idea. If it makes sense to finance it, make sure you get the best deal for you, not them. If it sounds to good to be true, it probably is. *They were £15 extra per month X 24 months = £360. I bought my last two phones cash for £300. Saving £60 and allowing me flexibility to move around contracts and providers. **Sure if you take 30 years to pay off your car loan, you would pay more in interest. But if you pay off the same amount, you’d pay significantly less interest. If your mortgage allows you to take a loan, they will probably allow you to pay more. I’d consider that key, I’d make sure I paid more.